Los Angeles based premium denim collection for men and women. Offer valid 3am PST,2/2/19 – 9pm PST,2/05/19 at JoesJeans.com. 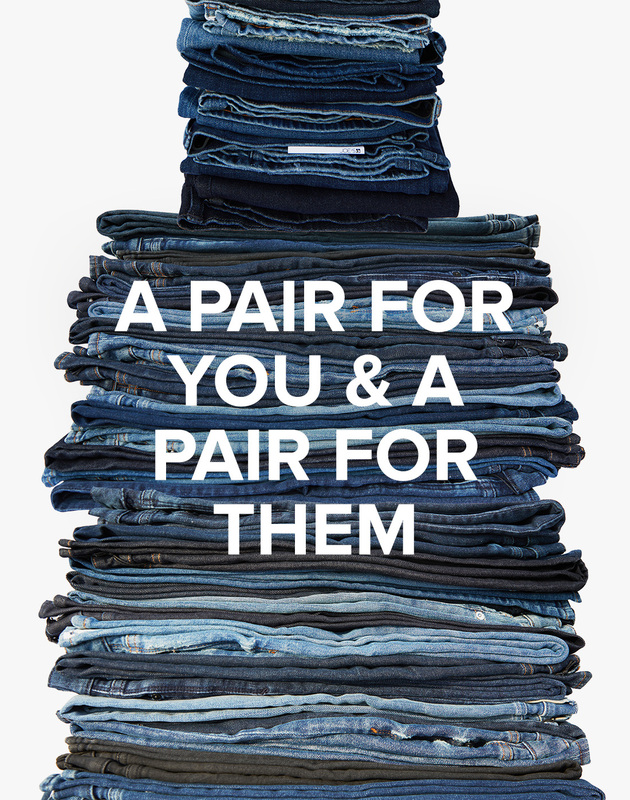 Promo Code:VALENTINEmust be entered during checkout to receive 50% off your second pair of jeans of equal or lesser value. While supplies last. Discount is not applicable on state and local taxes or shipping charges. Certain product exclusions may apply. Not valid on sale section. Discount cannot be applied to previous purchases and cannot be redeemed for cash or used in combination with any other discount,offer or promotion. Discount valid for a limited time on JoesJeans.com and Joe’s Jeans Boutiques. 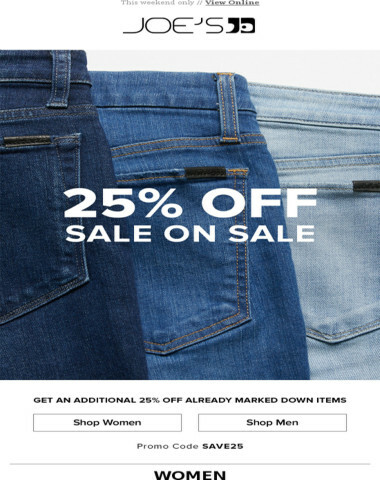 Discount is not valid for purchases at JOE’s Jean’s Outlet Store locations. Terms of offer are subject to change. Other restrictions may apply. This email was sent to you by Joes Jeans. 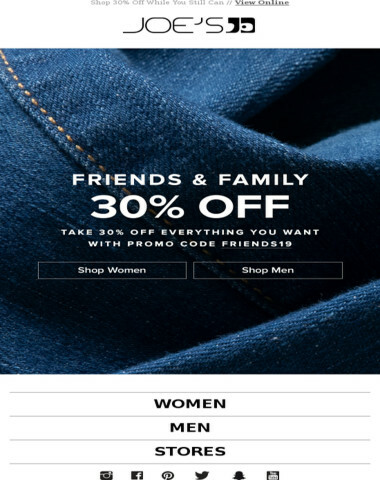 please add joesjeans@os-email.comto your address book. 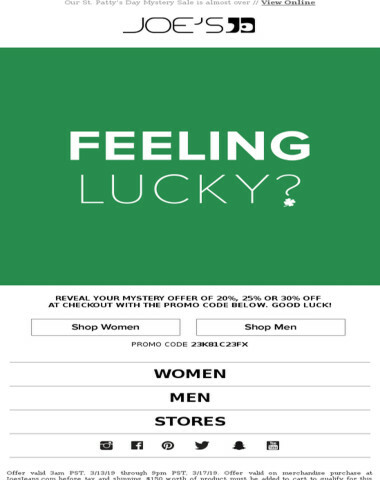 25% off Sale Still Going Strong!